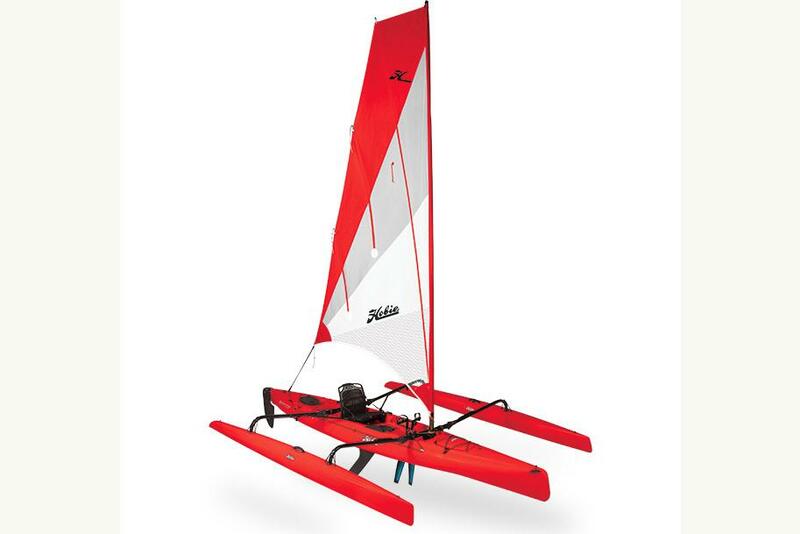 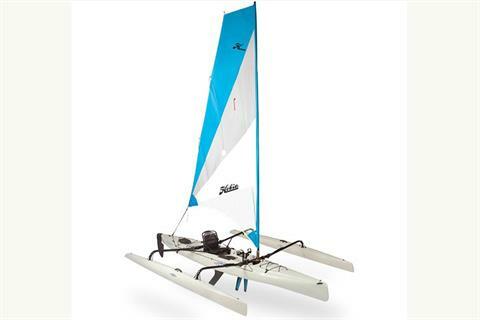 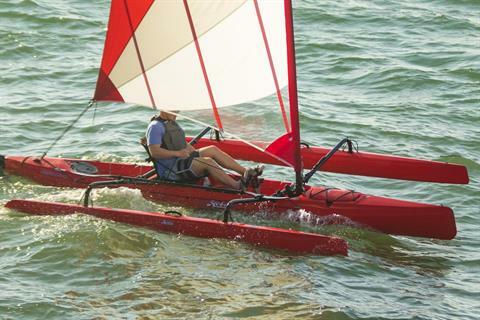 The Hobie Mirage Adventure Island is an impressively approachable trimaran sailing kayak. 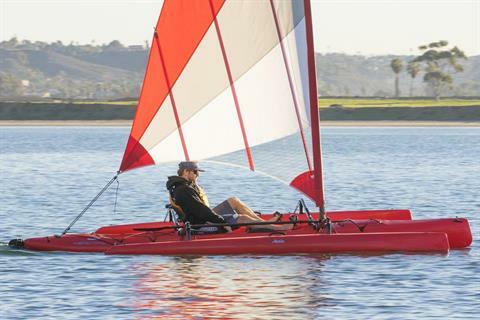 Ride the wind: A roller-furling, vertically battened mainsail provides lift, a retractable centerboard prevents lateral slip, and the larger amas tuck parallel against the rotomolded polyethylene hull for docking. Multiple hatches, on-deck stowage and Vantage CT Seating encourage multi-day adventures, and the MirageDrive with Glide Technology offers paddle-free locomotion when the wind scatters, making it easy to get home. The “AI” is an exceptional bluewater-capable fishing platform. 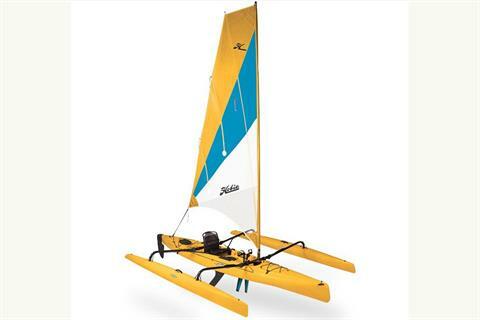 Equip the accessory trampoline kit for walk-around stability. 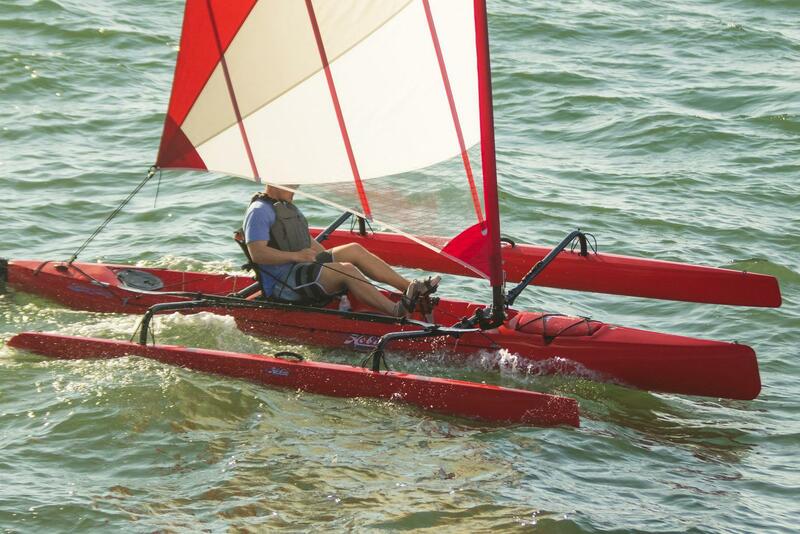 Flexible too; use it with just a single ama or leave the sail at home to pedal or paddle.